Over 700 Ready Mixed Colours Coming Soon. 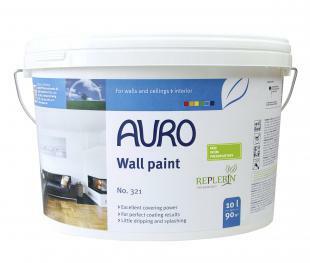 Contact info@auropaints.ie for more details! Natural interior emulsion paint that performs extremely well as a sustainable and environmentally friendly non-toxic paint for walls and ceilings. Contains a new formula: The biogenic binding agent REPLEBIN guarantees freedom from emissions, better substrate compatibility, and adhesion. 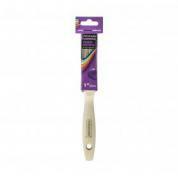 It contains no oils, does not yellow and emits little odour during the drying process. Product versions: Please select option A321 - 1 ltr. A321 - 5 ltr. A321 - 10 ltr. Open-pored, wall paint with the natural fragrance of essential oils. Minimal dripping during application. If you want to add some colour, tint with AURO Full-shade tinting colour No. 330. (Information for colour tone mixing: net weight per 1 l is 1.34 kg; 5 l = 6,7 kg; 10 l = 13.4 kg). Find your desired colour tone in our interactive Colour Designer.